Krech Exteriors recognizes that unless you are a professional Minneapolis roofing contractor, you are going to have questions about our process. Here are the questions we are most frequently asked by our clients. 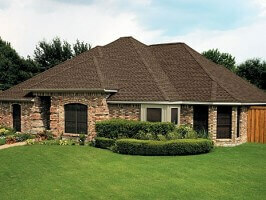 How can a homeowner recognize when their roof has problems? What are my options if I decide to reroof my Minneapolis roofing system? You have two basic options. You can choose a complete replacement of the roof system, involving a tear-off of the old roof, or a re-cover over the existing roof, involving only the installation of a new membrane and surfacing. If you’ve already had one recover over your original roof, check with the professional roofing contractor Minneapolis trusts first- Krech Exteriors- to see if your deck can support a second recover. Most work should not be do-it-yourself. Professional roofing contractors are trained to safely and efficiently repair or replace a roof. Novices can harm a roof with improper roofing techniques and severely injure themselves by falling off or even through a roof in need of repair or replacement. Homeowner maintenance should be confined to roof inspections in both the fall and spring to check for cracked or curling shingles, and to cleaning rain gutters filled with dead leaves and other debris. The condition and lifespan of your roof will depend on the type of roof you have, the effects of your local environment and the maintenance, which the roof has received. According to the American Society of Home Inspectors, asphalt shingles generally last 15-20 years; wood shingle/shakes, 10-40 years; clay/concrete tiles, 20+ years; slate, 30-100 years; metal roofing, 15-40+years. The price of a new roof varies widely, depending on the material selected, the contractor doing the work, the home itself, area of the country, local labor rates, time of year, and more. To get a good idea of the cost for your roof, get three of four estimates from reputable contractors in the Minneapolis area. Keep in mind that cost is only one factor, and it must be balanced against the quality of the materials and workmanship. Krech Exteriors will give you more bang for your buck. Yes, most general contractors and remodeling companies utilize subcontractors. Most of our subcontractors have been with Krech Exteriors for many years. We check all of our subcontractors out with the Minnesota Secretary of State and DOLI (Department of Labor & Industry). Company that claim they have only employees doing their work are most likely “truck & ladder” contractors who are small enough to stay in business today, but are unlikely to be around tomorrow. What type of products do you install and what warranties do you offer? We install almost any product from any manufacturer you want, although we are certified by many of the nation’s top companies. This allows us to offer strong manufacturer warranties on most products and materials we install. On top of that we also offer a 10-year workmanship warranty. I don’t see any damage. Why should I have my insurance company come out to my home? Unless the storm produced baseball size hail or larger, you most likely will not be able to see hail damage to your roof from the ground. Even smaller size hail is hard to detect standing on the roof. The best recommendation is to call a company that has professional inspectors, Krech Exteriors. Our inspectors will come out to your home and thoroughly inspect all of your property for any damage. If there is damage, we will give you the proper guidance how to go about filing a claim with your insurance company. If there isn’t any damage, you will have the peace of mind that your home is OK. The best part is that it does not cost you a dime to have us inspect your home – our inspections are free. I have a contractor who says they will cover my deductible by placing a sign in my yard and calling it “advertising.” Does Krech Exteriors offer that same promotion? Krech Exteriors does not “cover” deductibles. State insurance authorities are diligent about enforcing the deductible policy. From providing estimates and inspecting homes through the years we have heard from homeowners that other companies have offered to place a sign in their yard, calling it “advertising promotion” or something along those lines. They offer this promotion to the homeowner, allowing for their business yard sign to be placed in the customer’s yard. Typically and insurance deductible is $1,000 or more. If a contractor is paying a customer to place their sign in the yard for advertising purposes and the customer’s insurance deductible is more than $600, the contractor must file a Federal Tax 1099-MISC form for the customer, reporting it as income. Most, if not all, of the contractors who have made this offer do not file the appropriate paperwork – committing tax fraud. Other contractors may submit information to your insurance company with false numbers on their invoice to help pay for your deductible. That is insurance fraud. If you sign a contract with them you are also committing this fraudulent practice. I was told to get three estimates to repair my home. Is that necessary for insurance claims? Typically an insurance company will only ask you to get two or three estimates if: 1.) there is a need for a reinspection of your property; or 2.) they are a small, independent insurance carrier (who usually don’t operate the same way as the major insurance companies). Your insurance company will send out an adjuster to evaluate the damage to your property. He will write a full scope of damage with an estimate to repair your home. This amount is called the replacement cost value (RCV), and is the amount the insurance company is willing to pay. If another contractor comes in and estimates your project to be higher or lower, the insurance company will adjust the payment accordingly. Your insurance company will write the homeowner two checks in most cases. The first check is your actual cash value (ACV). This check is used as a deposit to get the repair work started. The second check is your recoverable depreciation. Your insurance company releases this check once the work is done and the contractor has submitted an invoice to the insurance company. Let’s say the insurance company agreed to pay $10,000 and you have a $1,000 deductible. Contractor A bids your project at $9,000. Contractor B bids at $11,000. If your first insurance company check was for $5,000, then your recoverable depreciation will be $4,000. But if Contractor A submits an invoice for $9,000, your recoverable depreciation will be $3,000. If Contractor B submits an invoice for $11,000 he must explain why his estimate is different. Some homeowners may think that by getting an estimate and choosing a contractor whose bid is less than what the insurance company estimated they will be able to avoid paying some or all of their deductible. But, as you can see, the insurance company sets their payment structure to eliminate this. There is no benefit for the homeowner to go through the hassle of getting estimates. It is better to simply select the contractor who is right for the job, and right for you. Krech Exteriors’ professional team of skilled tradesmen knows this industry better than most. I don’t want to make a claim with my insurance company because I was told that my policy could be cancelled if I make more than two claims, or that my rates will go up. Is that true? The insurance industry is regulated by state and federal laws. It is unlawful for your insurance company to cancel or not renew your insurance policy due to natural causes such as hail, lightning, or wind. (Minnesota reg. 2008.0200) They cannot raise your rates as an individual. However, they may raise rates for a group or region as a whole, because your neighbors as making claims and getting their homes repaired. You pay a premium every month for homeowner’s insurance – don’t be afraid to take care of your home. You have two years from the date of loss (storm date) to make a claim. I received an estimate from another contractor and they came in $1,000 less than the insurance company. That will cover my deductible with no out-of-pocket expense. Why should I use Krech Exteriors if you said you are going to work with my insurance proceeds? Then I will have to pay for my deductible. This is the most common issue we face in this industry. If you are working with a contractor that is willing to do this, you should be very cautious. First, it sounds like the contractor is not educated about how the insurance industry works. You will still end up paying your deductible when your final payment is due to your contractor. This is a strategy some contractors use to get your business. Your insurance policy is most likely and RCV (replacement cost value) policy. If your insurance company assessed your roof replacement to be $10,000, they will depreciate your first check (ACV – actual cash value) based on the age of your roof. If it is 14 years old, your insurance company may depreciate this check by approximately 50%. Your ACV check will be $5,000. The depreciation (final) check from your insurance company would be $4,000. This is called recoverable depreciation. Totaling the two insurance company checks ($5,000 + $4,000) and your $1,000 deductible adds up to the $10,000 replacement cash value. Once the work is completed an invoice for the total work amount must be send to your insurance company by the contractor. If the contractor agreed to work with your insurance proceeds, and they falsify this amount, they are committing fraud. If their invoice is $1,000 less, they must submit that number to the insurance company and the insurance company will adjust their numbers accordingly. The insurance company is always going to adjust the recoverable depreciation based on your deductible. I have been with my insurance company for years. I know and trust that they will treat me fairly. Why do I want Krech Exteriors out here with my insurance company? You may have developed a great rapport with your insurance agent, but the individual who will be evaluating your property damage is an insurance adjuster who has been hired independently or works directly as a staff adjuster for your insurance carrier. If you have 10 adjusters assess your property damage you will get 10 different answers! Our intent is not to do the insurance adjuster’s job, but to give our professional opinion of what should be replaced due to the damage caused by the storm. I want to hire a contractor who is going to replace ALL my damaged items, including soffit, fascia, pressure washing, staining, air conditioning, garage doors, etc. Does Krech Exteriors do that? Yes! Krech Exteriors is a great choice for your home restoration. Our company is set up to take care of ALL of your exterior needs. How long does the insurance process typically take? The insurance process usually takes 4 to 6 weeks, depending on your insurance and/or mortgage company. Once we receive your ACV check Krech Exteriors can get your work done efficiently, usually within 1-2 weeks, depending on the extent of the job. We want your home to be restored as quickly and effectively as possible. The roofer Minneapolis and St. Paul turn to for all of their exterior improvement needs is Krech Exteriors. Specializing in roofing, siding, and window replacement, Minneapolis homeowners will be hard pressed to find higher quality exterior renovations. Give us a call at (651) 688-6368 and set up your FREE in-home consultation!